In 2009, Chef Barb opened her own catering company called B Sweet out of her home kitchen. In 2012, the company launched B Sweet Mobile, the two cutest dessert trucks in Los Angeles. These "throwback bakeries on wheels" have been taking SoCal by storm. Her first brick and mortar dessert shop, B Sweet Dessert Bar, opened in August of 2014 located in West Los Angeles' popular Sawtelle Japantown. Long lines and rave reviews have made this LA gem the go-to destination for anyone with a sweet tooth. 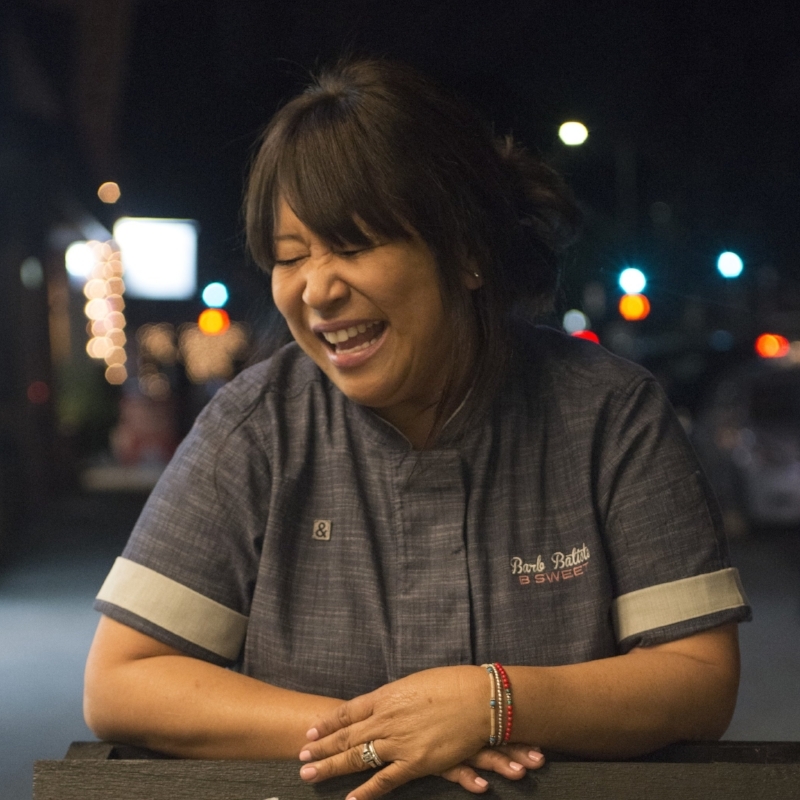 In January of 2018, she opened WLA's very first Filipino restaurant, Big Boi - Filipino Comfort Food, located just 6 doors down from B Sweet. The name was chosen in memory of her late father who was fondly nicknamed Boi. The menu showcases a healthier take on traditional Filipino dishes. The restaurant has become wildly popular, bringing many curious first-timers to Filipino cuisine and adding an exciting new option to Sawtelle Boulevard's diverse selection of restaurants. B Sweet has added their own line of Nitro Cold Brew coffee and teas which can be found throughout California. As a self-taught chef, Barb remains true to her "handmade like grandma used to" ways attracting many loyal clients including Disney, Nike, Hulu, Sony, Staples Center and some best known stars and studios in Hollywood.